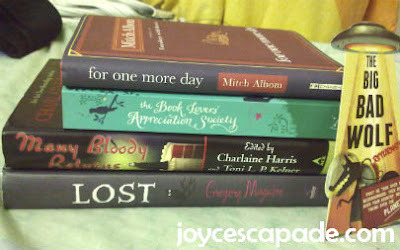 Only bought four books from this year's The Big Bad Wolf Books Sale. Find out more the Big Bad Wolf Book Sale 2011 from facebook.com/bbwbooks or bigbadwolfbooks.com. 4 books jer. i bought a lot =P till they have to put my books on trolley and push to the shuttle hahahaha..